UNITED STATES: Dominion Virginia Power said it "remains committed" to developing an offshore project in Virginia, despite having to postpone its 12MW pilot. A statement from the developer said it was "disappointed" by a construction bid it had received. The group will now look at ways to reduce the costs. Dominion received a single qualified construction bid for the 12MW Virginia Offshore Wind Technology Advancement project (VOWTAP). The bid estimated the cost of the project at $400 million – nearly twice the amount Dominion had expected. The unnamed bidder was also unable to guarantee the price would remain at that level. A contract was never signed. A spokesperson said: "We are not abandoning the offshore wind demonstration project. However because of the extremely high cost of the sole bid we received for the installation of the two test turbines, we are going to delay our planned filing with the state corporation commission (SCC) and seek other ways to reduce the cost." Alstom was due to supply two Haliade 6MW turbines to the project, located 43 kilometres off the US' east coast. Virginia's offshore wind development agency is looking for more stakeholders to enter the project in a bid to make the project more feasible by sharing and reducing the cost. Just a month ago, the government's Bureau of Ocean Energy Management (BOEM) gave its approval for the project. Dominion is developing the project with the Department of Mines, Minerals and Energy (DMME). In May 2014, VOWTAP one of three projects awarded $47 million by the department of energy (DOE) to fund the construction activities. Dominion's spokesperson said that funding would not be affected by the delay. Update: A DOE spokesperson said the funding would remain under review: "Shortly before the public statement on 23 April was made at the Virginia Offshore Wind Development Authority Board meeting in Richmond, Virginia, the energy department and other project partners were made aware of Dominion's decision to delay their demonstration project by a year. "The energy department will take this information and any additional developments into consideration during the annual project assessment that all of the Offshore Wind Advanced Technology Demonstration Projects must go through," the spokesperson said. 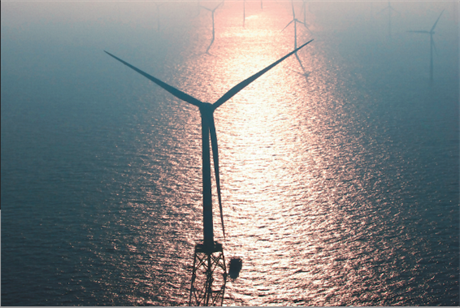 Question of the Week: Will US offshore wind prosper?